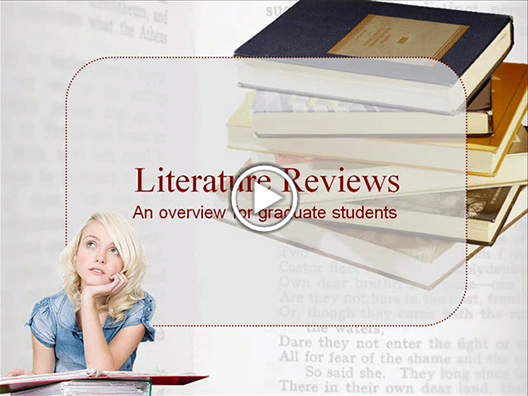 Distinguish between different types of literature reviews. “comprehensive background of the literature within the interested topic area…” (O’Gorman & MacIntosh, 2015, p. 31 [https://edtechbooks.org/-EaoJ]). “critical component of the research process that provides an in-depth analysis of recently published research findings in specifically identified areas of interest.” (House, 2018, p. 109 [https://edtechbooks.org/-EaoJ]). “written document that presents a logically argued case founded on a comprehensive understanding of the current state of knowledge about a topic of study” (Machi & McEvoy, 2012, p. 4 [https://edtechbooks.org/-EaoJ]). In the context of a research study, the purpose of a literature review is to demonstrate that your research question is meaningful. Additionally, you may review the literature of different disciplines to find deeper meaning and understanding of your topic. It is especially important to consider other disciplines when you do not find much on your topic in one discipline. You will need to search the cognate literature before claiming there is “little previous research” on your topic. This video is licensed under a CC BY-NC-SA 3.0 by NCSU Libraries. Transcript [https://edtechbooks.org/-dN]. Demonstrate that the proposed research contributes something new to the overall body of knowledge of advances the research field’s knowledge base. (Levy & Ellis, 2006 [https://edtechbooks.org/-EaoJ]). There are many different types of literature reviews, however there are some shared characteristics or features that all share. Remember a comprehensive literature review is, at its most fundamental level, an original work based on an extensive critical examination and synthesis of the relevant literature on a topic. As a study of the research on a particular topic, it is arranged by key themes or findings, which may lead up to or link to the research question. In some cases, the research question will drive the type of literature review that is undertaken. Guided by an understanding of basic issues rather than a research methodology, the writer of a conceptual literature review is looking for key factors, concepts or variables and the presumed relationship between them. The goal of the conceptual literature review is to categorize and describe concepts relevant to the study or topic and outline a relationship between them, including relevant theory and empirical research. The formality of learning science in everyday life: A conceptual literature review (Dohn, 2010 [https://edtechbooks.org/-EaoJ]). Are we asking the right questions? A conceptual review of the educational development literature in higher education (Amundsen & Wilson, 2012 [https://edtechbooks.org/-EaoJ]). Impediments of e-learning adoption in higher learning institutions of Tanzania: An empirical review (Mwakyusa & Mwalyagile, 2016 [https://edtechbooks.org/-EaoJ]). The purpose of an exploratory review is to provide a broad approach to the topic area. The aim is breadth rather than depth and to get a general feel for the size of the topic area. A graduate student might do an exploratory review of the literature before beginning a more comprehensive one (e.g., synoptic). University research management: An exploratory literature review (Schuetzenmeister, 2010 [https://edtechbooks.org/-EaoJ]). An exploratory review of design principles in constructivist gaming learning environments (Rosario & Widmeyer, 2009 [https://edtechbooks.org/-EaoJ]). This type of literature review is limited to a single aspect of previous research, such as methodology. A focused literature review generally will describe the implications of choosing a particular element of past research, such as methodology in terms of data collection, analysis, and interpretation. Language awareness: Genre awareness-a focused review of the literature (Stainton, 1992 [https://edtechbooks.org/-EaoJ]). An integrative review critiques past research and draws overall conclusions from the body of literature at a specified point in time. As such, it reviews, critiques, and synthesizes representative literature on a topic in an integrated way. Most integrative reviews may require the author to adopt a guiding theory, a set of competing models, or a point of view about a topic. For more description of integrative reviews, see Whittemore & Knafl (2005) [https://edtechbooks.org/-EaoJ]. Exploring the gap between teacher certification and permanent employment in Ontario: An integrative literature review (Brock & Ryan, 2016 [https://edtechbooks.org/-EaoJ]). A subset of a systematic review, a meta-analysis takes findings from several studies on the same subject and analyzes them using standardized statistical procedures to pool together data. As such, it integrates findings from a large body of quantitative findings to enhance understanding, draw conclusions, and detect patterns and relationships. By gathering data from many different, independent studies that look at the same research question and assess similar outcome measures, data can be combined and re-analyzed, providing greater statistical power than any single study alone. It’s important to note that not every systematic review includes a meta-analysis but a meta-analysis can’t exist without a systematic review of the literature. Efficacy of the cooperative learning method on mathematics achievement and attitude: A meta-analysis research (Capar & Tarim, 2015 [https://edtechbooks.org/-EaoJ]). Gender differences in student attitudes toward science: A meta-analysis of the literature from 1970 to 1991 (Weinburgh, 1995 [https://edtechbooks.org/-EaoJ]). A narrative or traditional review provides an overview of research on a particular topic that critiques and summarizes a body of literature. Typically broad in focus, these reviews select and synthesize relevant past research into a coherent discussion. Methodologies, findings and limits of the existing body of knowledge are discussed in narrative form. This requires a sufficiently focused research question, and the process may be subject to bias that supports the researcher’s own work. Adventure education and Outward Bound: Out-of-class experiences that make a lasting difference (Hattie, Marsh, Neill, & Richards, 1997 [https://edtechbooks.org/-EaoJ]). Good quality discussion is necessary but not sufficient in asynchronous tuition: A brief narrative review of the literature (Fear & Erikson-Brown, 2014 [https://edtechbooks.org/-EaoJ]). This specific type of literature review is theory-driven and interpretative and is intended to explain the outcomes of a complex intervention program(s). Unravelling quality culture in higher education: A realist review (Bendermacher, Egbrink, Wolfhagen, & Dolmans, 2017 [https://edtechbooks.org/-EaoJ]). This type of review tends to be a non-systematic approach that focuses on breadth of coverage rather than depth. It utilizes a wide range of materials and may not evaluate the quality of the studies as much as count the number. Thus, it aims to identify the nature and extent of research in an area by providing a preliminary assessment of size and scope of available research and may also include research in progress. Interdisciplinary doctoral research supervision: A scoping review (Vanstone, Hibbert, Kinsella, McKenzie, Pitman, & Lingard, 2013 [https://edtechbooks.org/-EaoJ]). In contrast to an exploratory review, the purpose of a synoptic review is to provide a concise but accurate overview of all material that appears to be relevant to a chosen topic. Both content and methodological material is included. The review should aim to be both descriptive and evaluative as it summarizes previous studies while also showing how the body of literature could be extended and improved in terms of content and method by identifying gaps. Theoretical framework for educational assessment: A synoptic review (Ghaicha, 2016 [https://edtechbooks.org/-EaoJ]). School effects research: A synoptic review of past efforts and some suggestions for the future (Cuttance, 1981 [https://edtechbooks.org/-EaoJ]). A rigorous review that follows a strict methodology designed with a presupposed selection of literature reviewed, systematic reviews are undertaken to clarify the state of existing research, evidence, and possible implications that can be drawn. Using comprehensive and exhaustive searching of the published and unpublished literature, searching various databases, reports, and grey literature, these reviews seek to produce transparent and reproducible results that report details of time frame and methods to minimize bias. Generally, these reviews must include teams of at least 2-3 to allow for the critical appraisal of the literature. 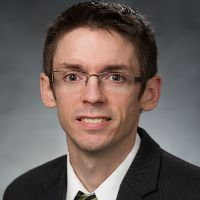 For more description of systematic reviews, including links to protocols, checklists, workflow processes, and structure see “A Young Researcher’s Guide to a Systematic Review [https://edtechbooks.org/-oF]“. The potentials of using cloud computing in schools: A systematic literature review (Hartmann, Braae, Pedersen, & Khalid, 2017 [https://edtechbooks.org/-EaoJ]). The use of research to improve professional practice: a systematic review of the literature (Hemsley-Brown & Sharp, 2003 [https://edtechbooks.org/-EaoJ]). An umbrella review compiles evidence from multiple systematic reviews into one document. It therefore focuses on broad conditions or problems for which there are competing interventions and highlights reviews that address those interventions and their effects, thereby allowing for recommendations for practice. For a brief discussion see “Not all literature reviews are the same [https://edtechbooks.org/-xZ]” (Thomson, 2013). Reflective practice in healthcare education: An umbrella review (Fragknos, 2016 [https://edtechbooks.org/-EaoJ]). First – It’s part of the whole. Omission of a literature review chapter or section in a graduate-level project represents a serious void or absence of a critical element in the research process. Second – It’s good for you! Third – It’s good for your reader. So, why should you do a literature review? Graduate-level literature reviews are more than a summary of the publications you find on a topic. As you have seen in this brief introduction, literature reviews are a very specific type of research, analysis, and writing. We will explore these topics more in the next chapters. Some things to keep in mind as you begin your own research and writing are ways to avoid the most common errors seen in the first attempt at a literature review. For a quick review of some of the pitfalls and challenges a new researcher faces when he/she begins work, see “Get Ready: Academic Writing, General Pitfalls and (oh yes) Getting Started! [https://edtechbooks.org/-GUc]”. Literature reviews should be reasonably complete and not restricted to a few journals, a few years, or a specific methodology or research design. Reviewed articles may be summarized in the form of tables and can be further structured using organizing frameworks such as a concept matrix. The review can also provide some intuitions or potential answers to the questions of interest and/or help identify theories that have previously been used to address similar questions and may provide evidence to inform policy or decision-making (Bhattacherjee, 2012 [https://edtechbooks.org/-EaoJ]). The focus of this paper centers around timing associated with early childhood education programs and interventions using meta-analytic methods. At any given assessment age, a child’s current age equals starting age, plus duration of program, plus years since program ended. Variability in assessment ages across the studies should enable everyone to identify the separate effects of all three time-related components. The project is a meta-analysis of evaluation studies of early childhood education programs conducted in the United States and its territories between 1960 and 2007. The population of interest is children enrolled in early childhood education programs between the ages of 0 and 5 and their control-group counterparts. Since the data come from a meta-analysis, the population for this study is drawn from many different studies with diverse samples. Given the preliminary nature of their analysis, the authors cannot offer conclusions at this point. (Duncan, Leak, Li, Magnuson, Schindler, & Yoshikawa, 2011 [https://edtechbooks.org/-EaoJ]). In this review, Mary Vorsino writes that she is interested in keeping the potential influences of women pragmatists of Dewey’s day in mind while presenting modern feminist re readings of Dewey. She wishes to construct a narrowly-focused and succinct literature review of thinkers who have donned a feminist lens to analyze Dewey’s approaches to education, learning, and democracy and to employ Dewey’s works in theorizing on gender and education and on gender in society. This article first explores Dewey as both an ally and a problematic figure in feminist literature and then investigates the broader sphere of feminist pragmatism and two central themes within it: (1) valuing diversity, and diverse experiences; and (2) problematizing fixed truths. (Vorsino, 2015 [https://edtechbooks.org/-EaoJ]).